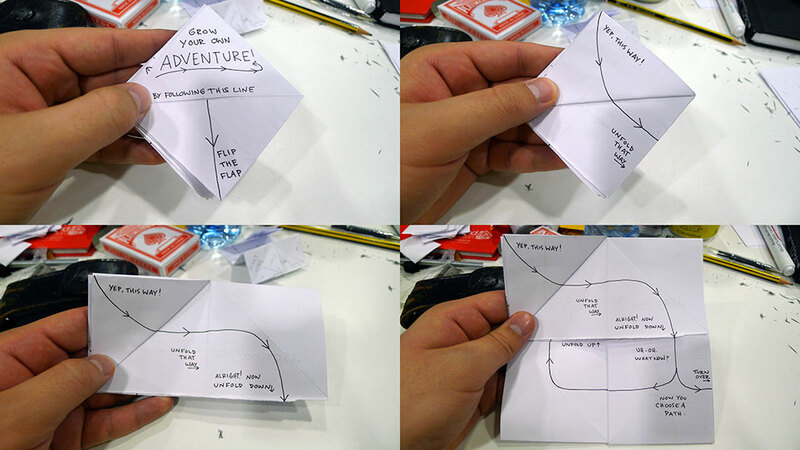 Grow Your Own Adventure is a “choose your own adventure game” made from a single sheet of paper. It was made in about four hours and a half at Gamecraft Unplugged. I knew we didn’t have much time or materials but I wanted to make something different. A simple adventure that physically grows as you play. 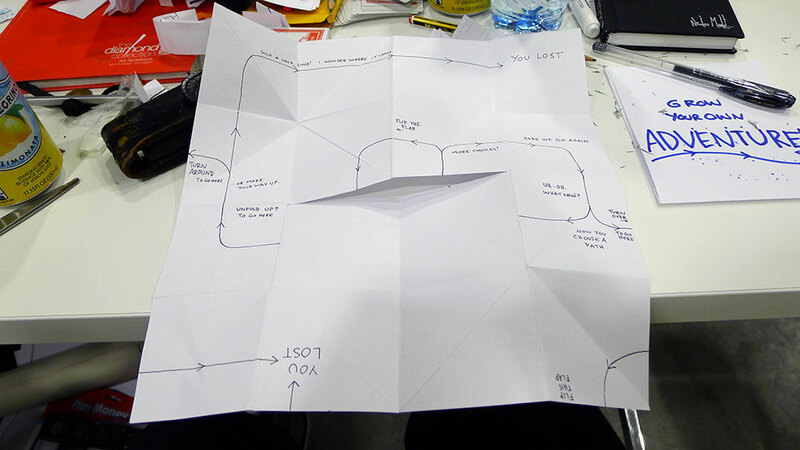 I ended up with an interactive story system where you follow a line, choose your path and make choices as they pop up. 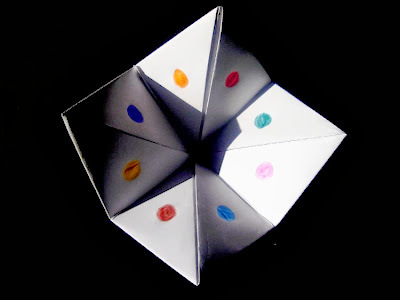 I started folding to see what I could do with one sheet of paper, and accidentally got to this. Twice! If you had asked me to teach it to you I couldn’t remember how to, but muscle memory brought it back. I kept folding and realized you can make very interesting “page turns” from just a single cut in the middle of the sheet. It allows you to hide surprises but, most importantly, make choices that change the layout. I started drawing a line and improvising. Taking notes, seeing how far I could go with it and how many “faces” I would be able to write on. In the end, I got to something I’m very proud of. 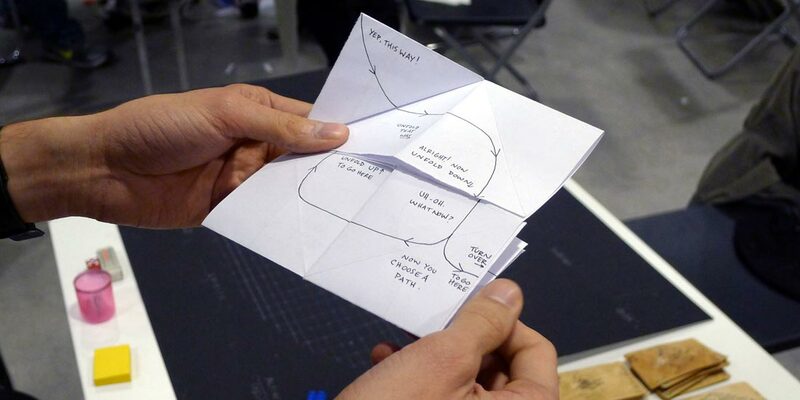 It’s an interactive story system you can fit in your pocket. Your choices change it, so there’s some replayability- It comes from a single page, which makes it easy to distribute.